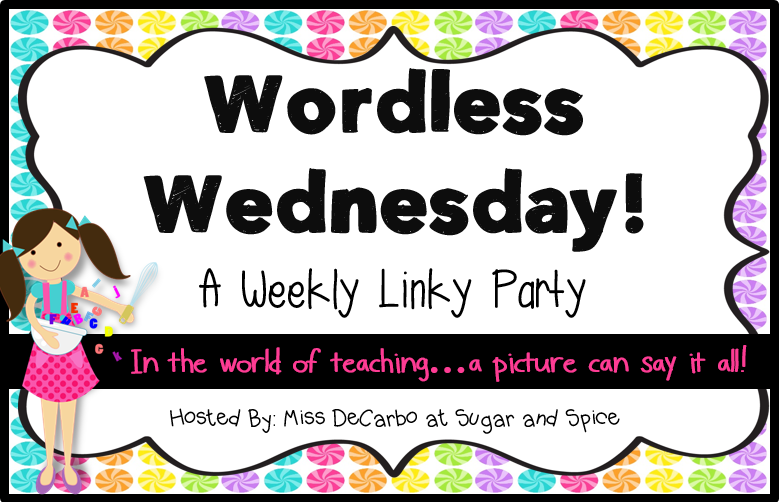 I have been doing all kinds of different link-ups this week and today I'm doing a "Wordless Wednesday" link-up with Miss DeCarbo at Sugar and Spice! This is my first "Wordless Wednesday" link-up. If you have never done this link-up, I'm including the rules and you can click either picture to go to the link-up! 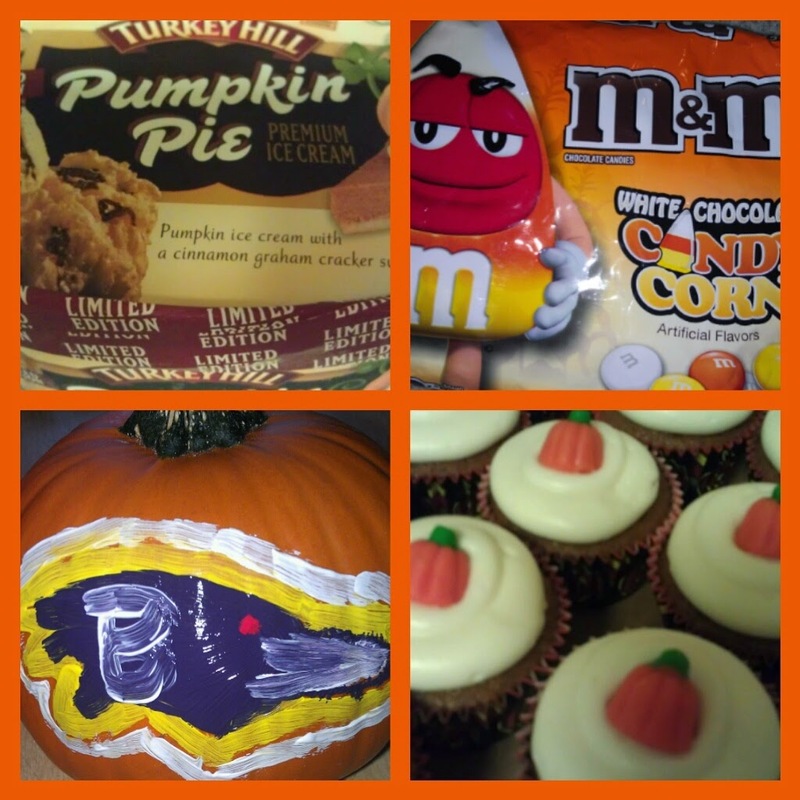 These are all pictures I took last year - pumpkin pie ice cream, white chocolate candy corn colored m&ms, football/pumpkin picking/pumpkin decorating, and pumpkin cupcakes! And my question for you is...What are you looking forward to most about fall?? ?